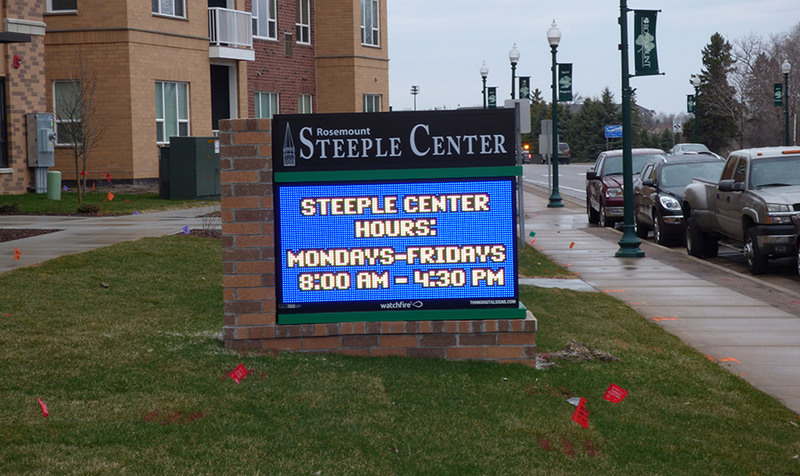 The city of Rosemount – Steeple Community Center was redesigned to fit the programming and service needs of the citizens of Rosemount. 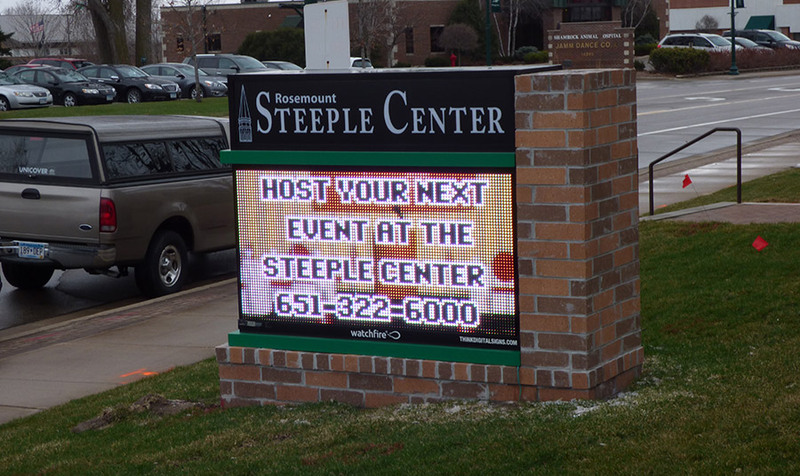 The Steeple Center needed a high-quality message center to promote the new events of the Steeple Center. 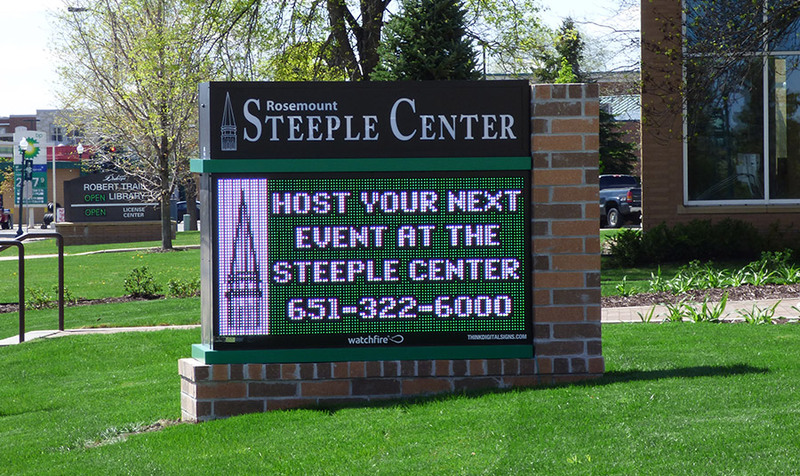 Rosemount trusted Think Digital Signs to handle the difficult design and installation of its sign. The sign foundation needed to avoid many utility lines, which were underground where the sign now stands, and the sign was installed during the winter months so special equipment was needed to get the foundation done correctly the first time. 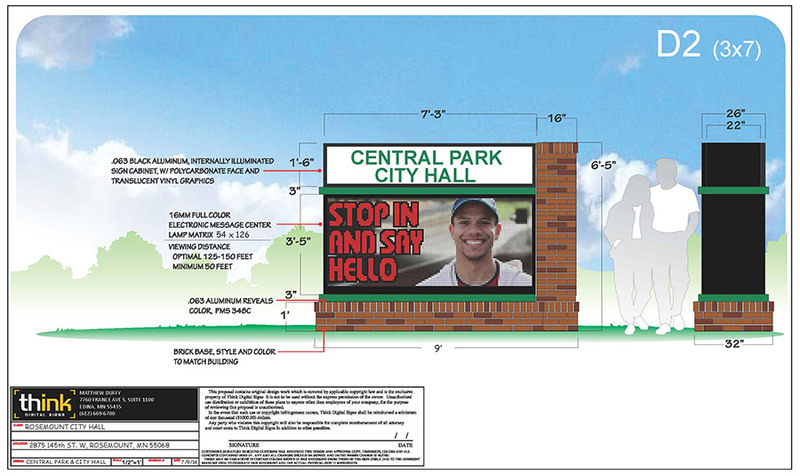 The city of Rosemount enjoys the sign so much that they have asked Think Digital Signs to place another electronic message center in front of City Hall.